Hefei Hengda Jianghai Pump Co., Ltd from 1958, is a professional designer and manufacturer for large high-end submersible pumps and integrated service provider for the Safe and efficient drainage system overall solution,whose wholly-owned subsidiary,Hefei Sanyi Jianghai Intelligent Technology Co., Ltd mainly dealing with automatic control systems. 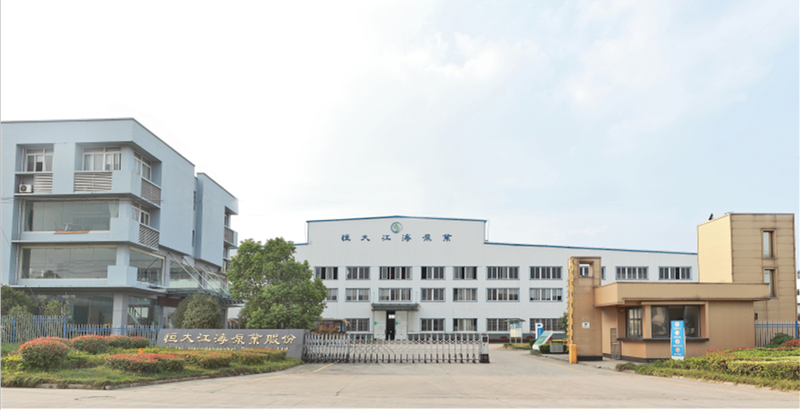 Hefei Hengda Jianghai Pump Co.,Ltd is the only one professional enterprise with capacity of research & development ,production and test for large-scale submersible pumps and motors,which owns series of key technologies of submersible pump. The goal is to continue to lead the large-scale pump industry development and maintain the key position. With safe and efficient motor as its core, the company has integrated machinery, hydraulic power, material, power supply and electrics, intelligent control and information and communication, etc, and provided the overall solutions for customers. As a national high-tech enterprise and provincial scientific and technological innovation enterprise, Hengda Jianghai Co., Ltd owns provincial “Large Submersible Pump Equipment Technology” laboratory (Laboratory Academic Committee are from Tsinghua University, Hefei University of Technology, China University of Mining, Hefei General Machinery Research Institute, Shanghai Electrical Apparatus Research Institute and other famous universities and state institutes for pumps and motors; the director, Wang Yuming, China Academy of Engineering and professor of Tsinghua University). Hefei Hengda Jianghai has successfully practiced the business idea “Win-win Social Benefits and Economic Benefits”. Large-scale submersible pump units have made a significant contribution to mine drainage, rescue, drainage and mine recovery, comprehensive management of mine water, flood drainage, ecological environmental treatment, etc, and obtained full confirmation from all the society. Hefei Hengda Jianghai Pump Co., Ltd is willing to make a greater contribution to develop public safety industry and human - nature harmony together with all social members.